Exercising during winter is equally important as exercising during summer, even though we’re quite aware that it’s a lot harder. During winter we tend to move less and therefore it’s not a surprise that we gain some unwanted fat – not to mention all those Christmas cookies. But it doesn’t have to be like that. 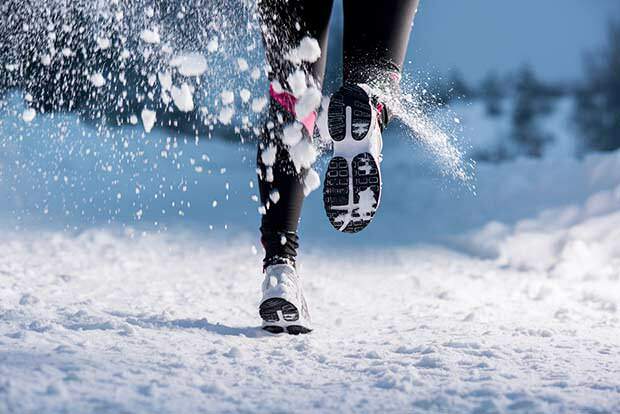 You might think it sounds crazy, but believe it or not, there are plenty of enthusiasts who just love running during the winter. All you need is a good pair of winter shoes and warm clothes, and you’re ready to burn some calories. You might also want to find a jogging companion, just to make things more fun.